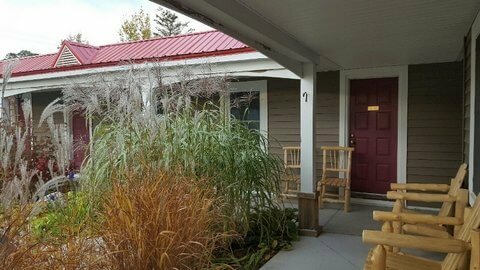 Motel Rooms are available through Mackinaw Mill Creek Camping that are only 3/4 of a mile from the park at the new Mackinac Lake Trail Motel! Linens and bedding are provided. Morning coffee and microwave available at the coffee cabin. Sorry, NO pets, NO smoking & NO cooking inside Motel Rooms. 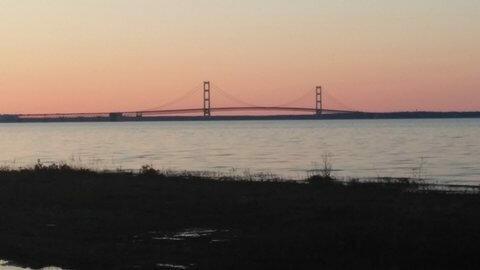 Please Note: The Mackinac Lake Trail Motel is now closed for the winter and will reopen for the new season in May, 2019. Enjoy a quiet morning sleeping in, or early risers can enjoy a 5 minute walk to the spectacular sunrise over Bois Blanc Island down on the shoreline. Throughout the day explore the surrounding areas or relax in the pool. In the evening attend the Lumberjack Show just up the road! Open Memorial Day Weekend thru mid-October. 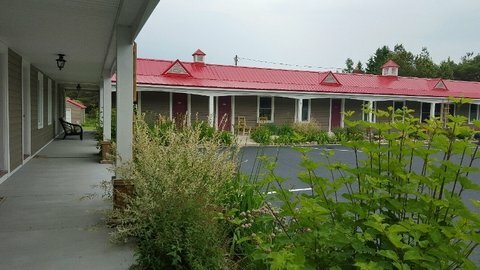 Note: Check-in for the Mackinaw Lake Trail Motel is at the main office of Mackinaw Mill Creek Camping (9730 US Hwy 23, Mackinaw City, MI 49701). 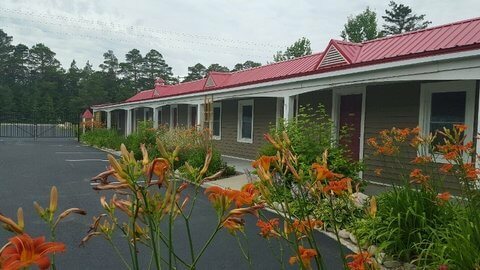 The Mackinac Lake Trail Motel was built in the 1950s; therefor, the rooms are smaller than most modern motel rooms. 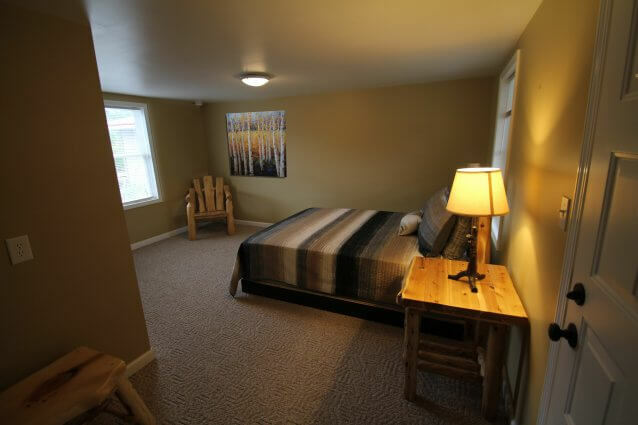 Motel rooms have been remodeled and include TVs, air conditioning and heat, and beautiful log furniture. 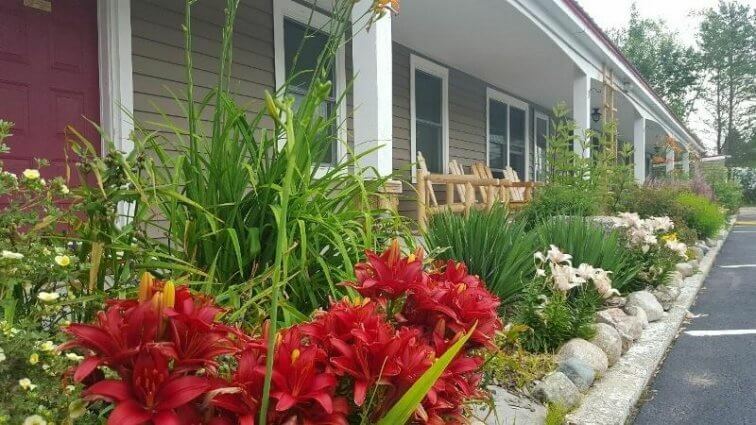 We feel, that like us, many people will appreciate the charm and personality of the lovely classic Americana architecture (not to mention it's pool, landscaping, and walking trail to the spectacular lake shore viewing the Mackinac Bridge and Mackinac Island). 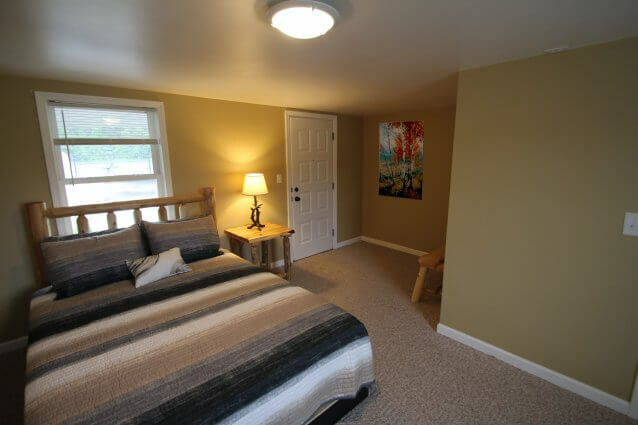 These reasonably priced rooms can sleep one or two people. 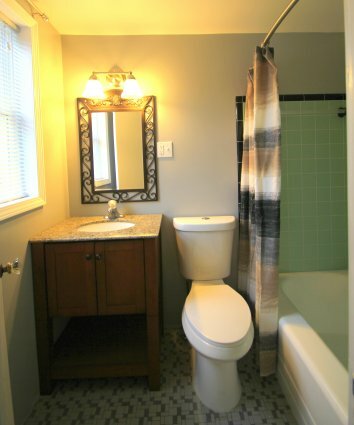 All of our units, in keeping with our reputation, are very clean and well maintained. 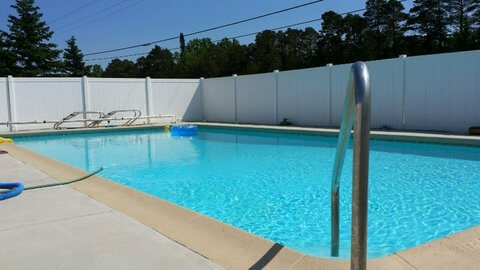 The pool will open as soon as weather permits in May or June. Check with our reservation staff for opening dates. 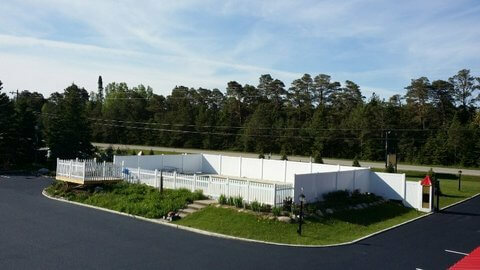 The pool at the campground will be available for our motel guests and might open earlier! The Jack Pine Lumberjack Show (nightly @ 7:30pm till 8:30pm), is less than 1/4 mile up the road. Motel guests will hear some noise during the lumberjack show (cheering, etc. ), but can purchase discounted tickets to go enjoy the show! 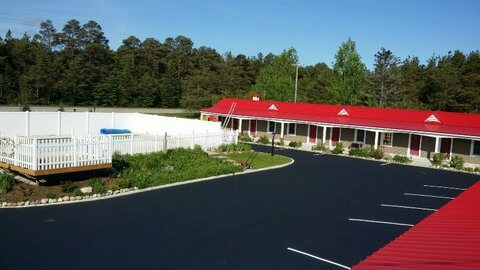 Guests of the Mackinac Lake Trail Motel have complete access to Mackinaw Mill Creek Camping, which is situated on 1 mile of lakeshore and features a heated pool, camp store, Wi-Fi* (*click for more info), 3 playgrounds and a free shuttle to the Mackinac Island Ferries. (Park Store is open Memorial Day through Labor Day). I rented one of the cabins with a private bathroom near the beach. It was perfect and quite. The cabin was cozy (it had heat!!!) and was spotless. 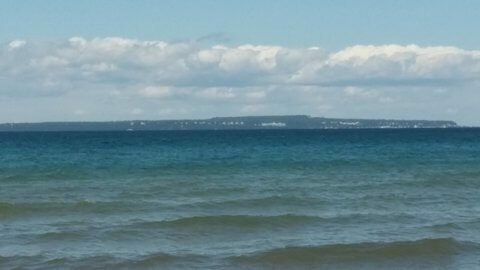 The campground is outside of town, but offers ferry tickets to the island at a discount and is a short drive (3 minutes) from all of the transit lines to the island and all of the town action. They also have a camp store with games, supplies, and ice cream. I can't wait to visit again!